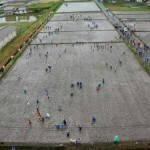 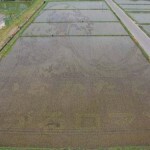 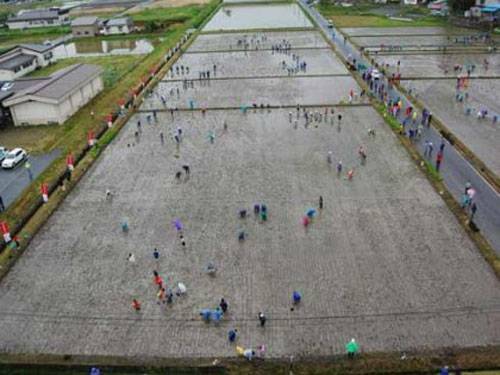 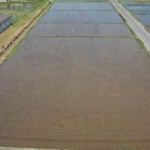 This is a photo of 15,000 square meters of rice paddy fields in Inakadate, Japan. 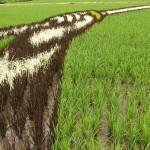 Hundreds of thousands of plants have been strategically arranged after months of planning by farmers and villagers. 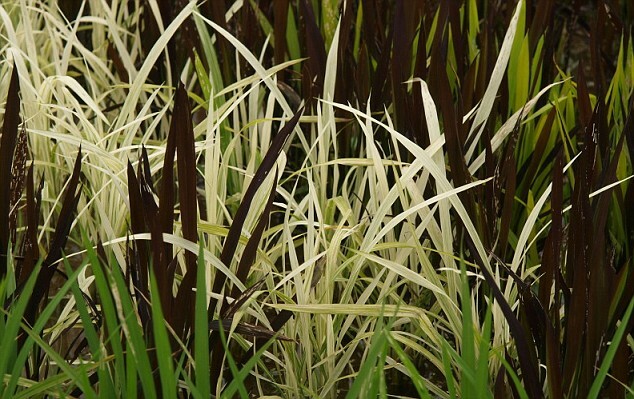 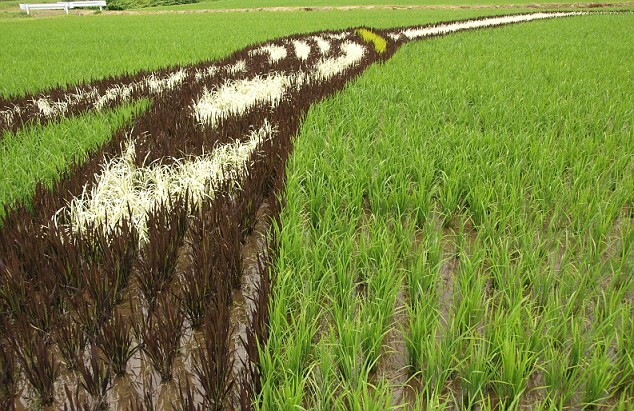 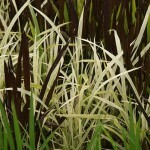 Four different colors of rice plants are used. 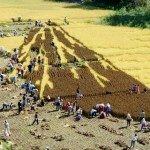 Watch the process from planting to harvesting. 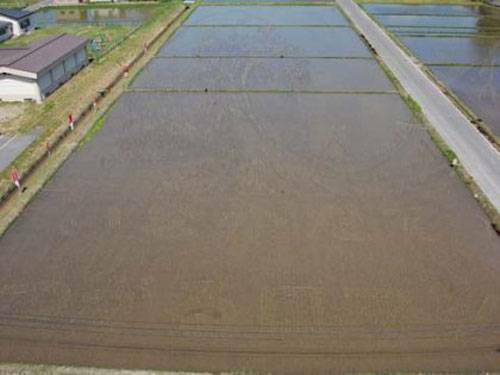 In September the plants have matured and they harvest the rice crop. 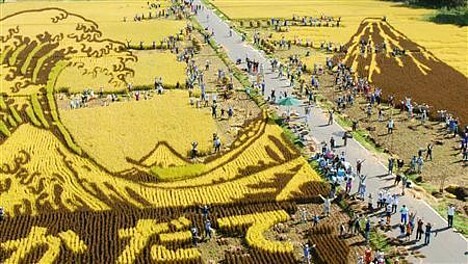 Rice-paddy art was started in 1993 as a local revitalization project, an idea that grew from meetings of village committees. 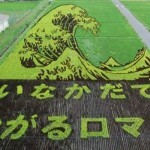 The designs grew from a simple mountain, each year becoming more complicated and attracting more attention. 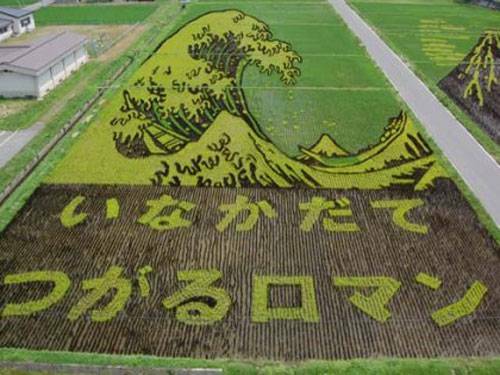 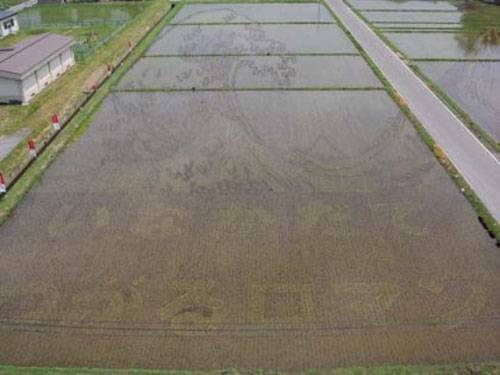 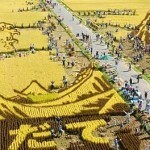 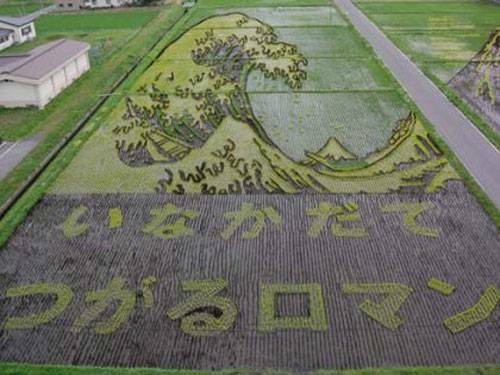 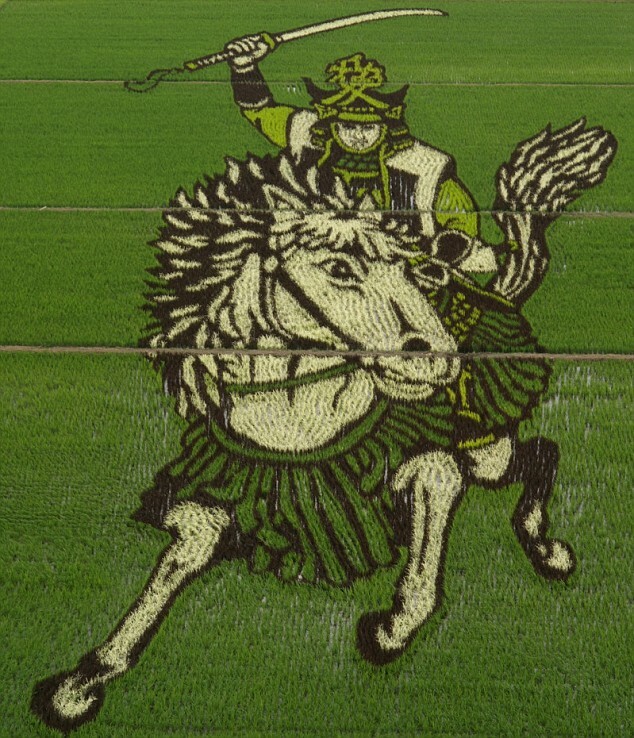 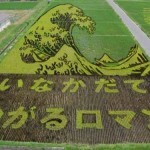 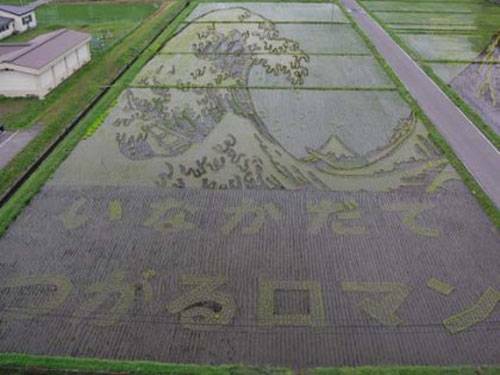 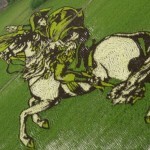 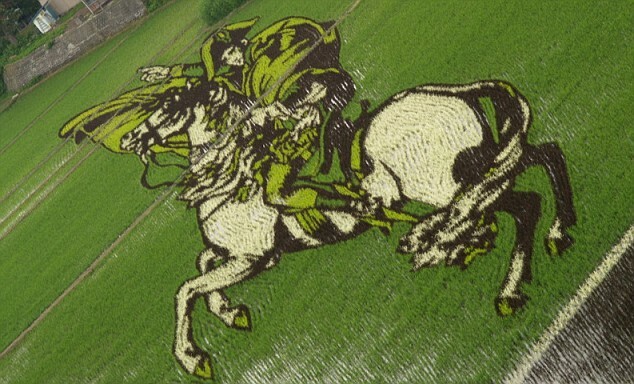 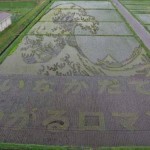 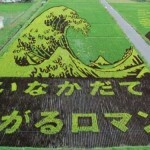 In 2005, agreements between landowners allowed the creation of enormous rice paddy art. 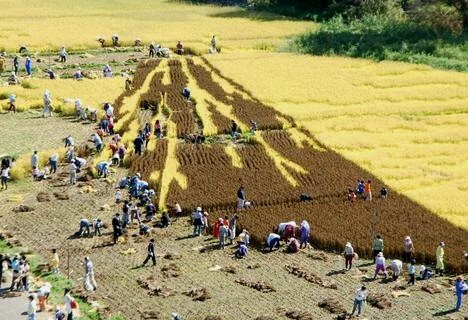 A year later, organizers used computers to precisely plot planting of the four differently colored rice varieties that bring the images to life. 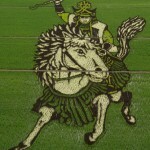 A close-up of the warrior’s hand and sword. 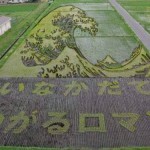 WHAT A MELDING OF ART, SCIENCE AND PLAIN OLD PERSEVERENCE! 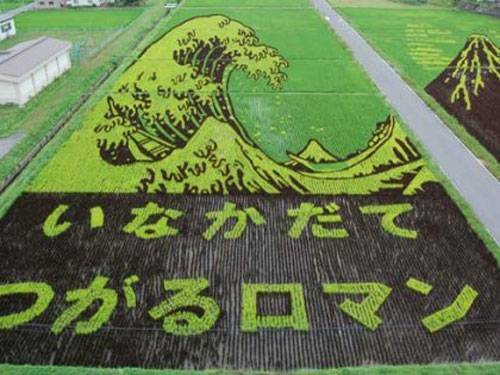 THANKS FOR SENDING THIS—I HAVE LOTS OF FRIENDS WHO WILL APPRECIATE THE COMBINING OF THE ARTS.